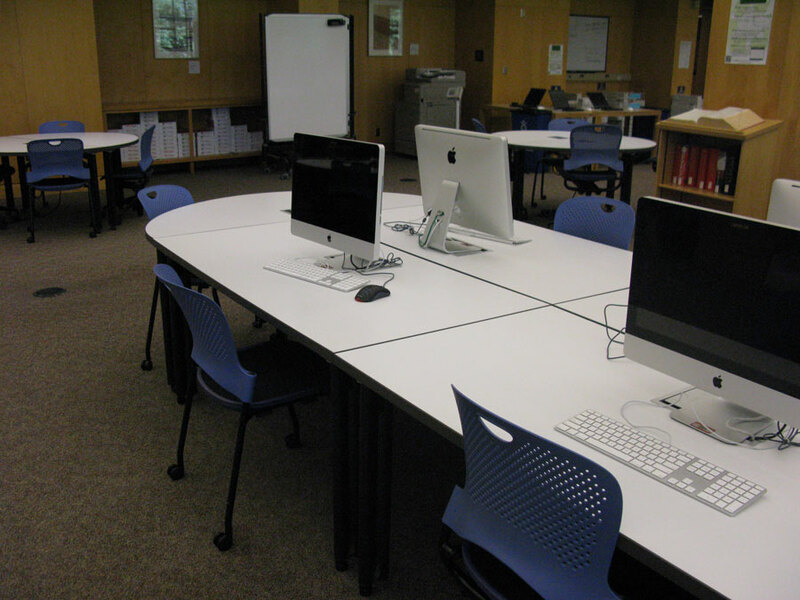 There is one large computer lab one this floor. It is located opposite the entrance. 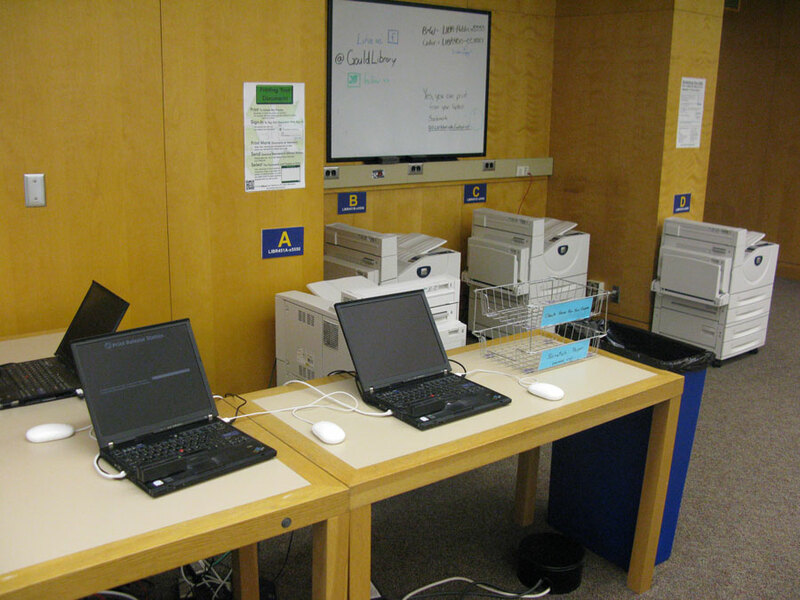 It contains several dual boot computers, two scanners, and several outlets to plug in laptop computers. The only printers in the library are in the computer lab on this floor. There are four black and white printers and one color printer. Carleton recently instigated Papercut. It gives students $32 at the beginning of each term to print with. Black and white papers cost four cents and color costs fifteen cents.